Amazon’s cloud computing operation may soon have more than 1 gigawatt of power capacity supporting its huge US-East data center cluster, according to a Greenpeace analysis of the company’s energy use. Amazon Web Services (AWS) had 500 megawatts of capacity in a 2015 analysis, but has since received permission for generators to support another 560 megawatts of data center capacity, Greenpeace estimates. Some of those projects are still in the planning and construction phase. But when they are completed, the new capacity would bring Amazon’s total data center energy footprint in Northern Virginia to 1.06 gigawatts. This appears to be the first instance of a single cloud provider approaching 1 gigawatt – equal to 1,000 megawatts or 1 billion watts – in a single geographic market. As the world’s leading provider of cloud computing services, AWS is an outlier in its massive deployment of data center capacity, and Virginia is its largest market. The megawatt has been the primary metric for data center power usage, and will remain so. But the Greenpeace data on Amazon highlights how the shift to a digital economy is boosting the amount of electricity needed to power cloud computing platforms. If we are in the early innings of the migration to the cloud, as many industry experts believe, we’ll see more eye-popping numbers about the amount of electricity dedicated to data center infrastructure. This change brings some meaningful benefits, consolidating business activity in some of the world’s most efficient data centers, which usually reduces the volume of energy used (and associated carbon output) for a business process. This is known as the “negawatt” effect, and is expected to will yield $60 billion in energy savings by 2020, according to a U.S. government data. 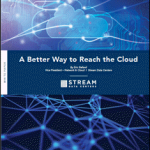 But the cloud’s growing role in the economy – and accompanied growth in resource usage – also invites greater scrutiny and attention to the environmental impact of the data center industry. That’s the focus for Greenpeace, which has been tracking data center energy use in a series of reports over the past six years. 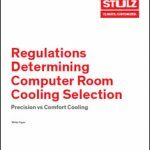 “The ongoing shift to larger and more energy efficient data centers should actually underscore the importance of decisions that such global data center operators make now on where their critical infrastructure is located, and what source of energy will power them,” said Greenpeace. Greenpeace sees the use of renewable energy in data centers as key step in transitioning to a sustainable economy that can avert the worst impacts of climate change. After many years of focus on improving data center efficiency as its primary green energy strategy, hyperscale cloud providers are now boosting their use of wind and solar power. That includes Amazon, which took huge steps in 2016 to increase its use of renewable energy. How much is 1 gigawatt of power? It’s equivalent to the amount of power generated by 4.6 million photovoltaic solar panels, or 500 utility-scale wind turbines, or 100 million LED bulbs, according to the U.S. Department of Energy. And of course, it requires 1.21 gigawatts of power to operate the DeLorean time machine from Back to the Future. 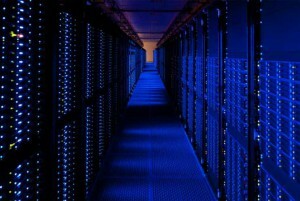 Data centers currently account for a small percentage of America’s energy use. Data centers used an estimated 70 billion kilowatt hours of energy in 2014, accounting for 1.8 percent of total U.S. electricity consumption. While the sector’s use of energy is growing, that growth has been slowed as data centers have become more efficient. Between 2010 and 2016, data centers’ use of energy grew 4 percent per year. Northern Virginia is one of the primary battlegrounds in the cloud war. 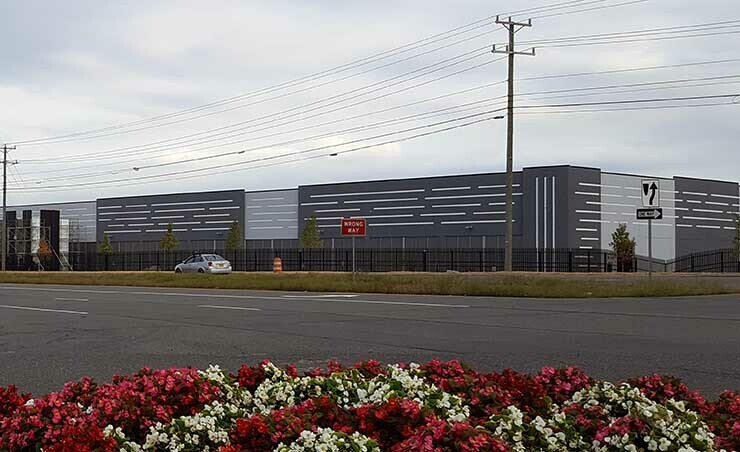 It’s America’s busiest Internet intersection, the place where all the networks meet, anchored by the Equinix interconnection hub in Ashburn. The region is of major strategic importance to Amazon Web Services. It’s no secret that AWS has been expanding rapidly across Loudoun and Prince William counties, but the Greenpeace report helps quantify the breadth of its expansion. Amazon has been working closely with developer Corporate Office Properties Trust (COPT), a real estate investment trust. COPT has leased nearly 1.3 million square feet of data center space to Amazon Web Services over the past three years, according to SEC filings, all of it in Northern Virginia. Greenpeace tracks Amazon’s power use as part of its Clicking Clean report, which evaluates the data center industry’s use of renewable energy. Amazon doesn’t report the amount of power used by its cloud computing operation, so Greenpeace has focused on generator emissions permits from the state of Virginia as the best available metric for tracking the growth of energy use by AWS. Greenpeace tracks permitting at 32 data center projects operated by Amazon across 14 locations in Loudoun and Prince William counties, including 25 existing facilities and seven that are in the planning and construction phase. AWS has sought permits for a total of 1.56 gigawatts of backup generator capacity. Greenpeace says it uses “conservative assumptions regarding the total power the generators are needed to cover, as well as the number of generators deployed for redundancy,” which is how they arrived at the final estimate of 1.06 gigawatts. That equates to one backup generator for every two production generators. “Our estimates are designed to reflect, given the deployed backup generator assets, the amount of power the facility is designed to consume,” said Gary Cook, IT Sector Analyst for Greenpeace. Amazon has emerged as a leader in provisioning renewable energy, particularly in Virginia. Renewable energy sources represent just 6 percent of Virginia’s electric generation in 2016, compared to 12 percent nationally, according to the U.S. Energy Information Administration. Virginia’s primary power sources is natural gas (39 percent), followed by nuclear power (27 percent) and coal (19 percent). Amazon is working to change that ratio. In November Amazon Web Services announced five new solar farms across Virginia that will bring a total of 180 megawatts of renewable energy capacity onto the grid before the end of 2017. Amazon had previously deals for 80 MW of solar in Virginia and 200 MW of wind power from North Carolina. Amazon has also worked out an innovative deal with with Dominion Virginia Power to manage and integrate the energy produced from Amazon’s wind and solar farm projects onto the grid that serves AWS data centers. Amazon’s progress on renewables is highlighted at its AWS & Sustainability web site. “In November 2014 AWS made a long-term commitment to achieve 100 percent renewable energy and in just two years we’ve made strong progress towards that goal,” an AWS spokesman said. “By April 2015 we hit 25 percent renewable, closed 2016 at 45 percent renewable, and have set a goal to reach 50 percent by the end of 2017. AWS has to date enabled 10 renewable energy projects in the United States that will deliver a grand total of 2.6 million MWh of energy annually onto the electric grid powering AWS data centers and four of these projects are already online.